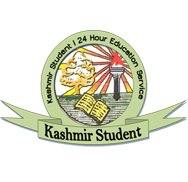 Hundreds of students at the University of Kashmir- Valley's highest seat of learning- Saturday held a protest demonstration seeking release of a colleague who was allegedly picked by government forces from his home in northern Sopore town four days ago. Witnesses said over thousand students from almost all the departments assembled in the campus and held an anti-government demonstration against the arrest of Munzar Amin Dar. "We demand release of the youth from police custody, he is innocent,” said one of the protester. Dar is a second semester commerce student at the business department of the varsity. 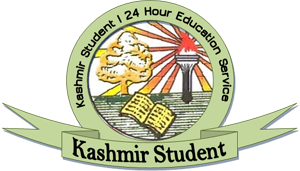 The students boycotted the classes, and, holding banners and placards, marched towards the Vice Chancellor’s lodge for a sit-in. Shouting slogans, the protesters demanded university’s intervention in getting the student released. Protesters then chanted slogans outside the VC's lodge demanding Dar's immediate release. The protest then marched through the campus shouting slogans against police. “He was arrested four days back when he had gone to home. Before his arrest, his parents were picked up and when he reached home his relatives informed him to go to the police as they were looking for him,” the students alleged. Sources in police claim Dar has 'kept touch' with his brother. In July, this year, protests had erupted in the campus over the arrest of a media student, Peerzada Muhammad Iqbal, who was arrested for his alleged association with the militants. The students from almost all departments in the varsity boycotted the classes, and, holding banners and placards, marched towards the Vice Chancellor’s secretariat for a sit-in. Shouting slogans, the protesters demanded university’s intervention in getting the student released.